The adoption is slower than iOS 11 and iOS 10. Whenever Google releases new Android version, it takes forever to even reach adoption of 25 percent. There are a lot of factors for slow adoption of Android OS – the fragmentation, and the sheer number of install base, among others. iOS, on the other hand, generally sees a faster adoption. 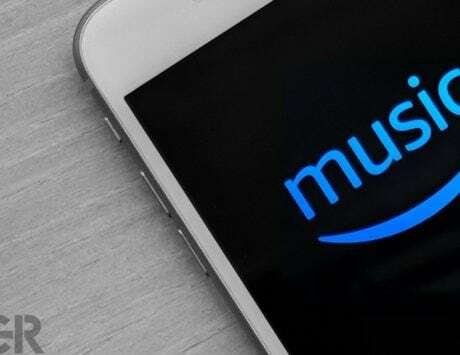 Soon after Apple releases the new OS, iOS users have been quick to update their iPhones, iPads and iPod touch devices, but the same cannot be said for iOS 12. According to data collected by analytics firm Mixpanel, iOS 12 was installed on just 10 percent devices in 48 hours since it went live. In comparison, iOS 11 was installed on 10 percent devices in just 14 hours, whereas iOS 10 saw an adoption of 14.45 percent in 24 hours. 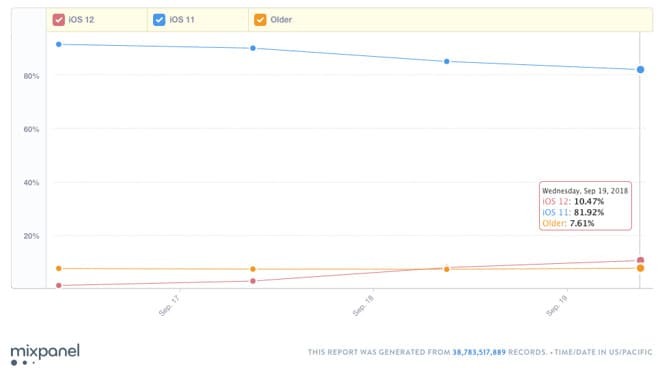 The decline in adoption rate between iOS 10 and iOS 11 can be due to the fact that iOS 11 dropped support for 32-bit devices. However, given the fact that iOS 11 turned out to be buggy at launch, it seems like users aren’t ready to risk this time around. 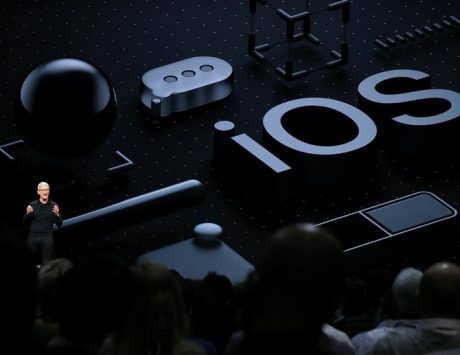 According to Apple, iOS 12 has been polished in the best possible way, especially in the performance department – especially on older devices such as iPhone 5s, iPhone 6 and iPad Air. Whether the adoption numbers will increase in the coming days or not, that is something that remains to be seen. Besides improved performance, iOS 12 brings a bunch of features such as group FaceTime video calling (will be enabled on iOS 12.1), Siri shortcuts and Memoji, improved version of Animoji that uses the TrueDepth camera, Augmented Reality and advanced neural engine on the new iPhone Xs, iPhone Xs Max and iPhone Xr devices.